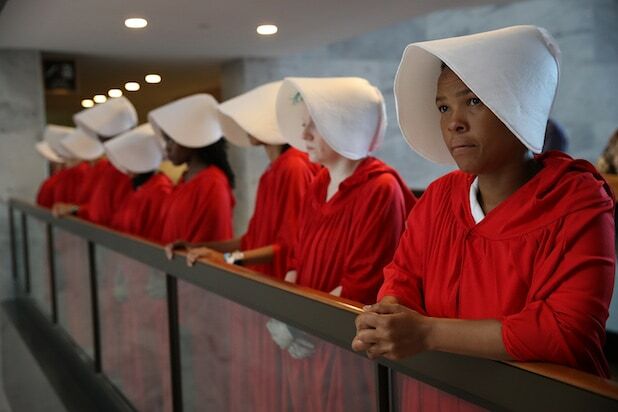 About a dozen women dressed in red robes and white bonnets stood silently outside Supreme Court nominee Brett Kavanaugh’s hearing room in Washington on Tuesday. 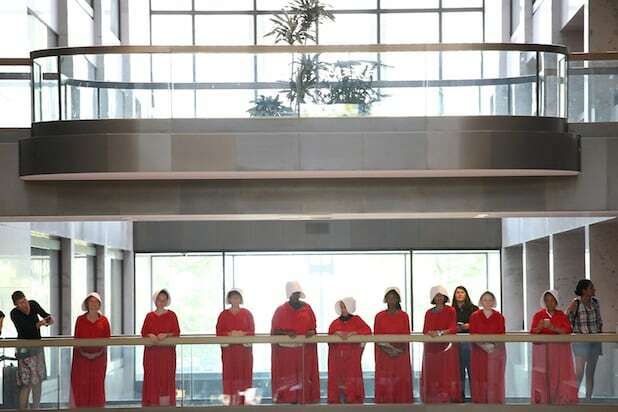 The protesters, resembling characters from Hulu’s award-winning drama “The Handmaid’s Tale,” belonged to Demand Justice, an advocacy group fighting Kavanaugh’s confirmation, The Hill reported. 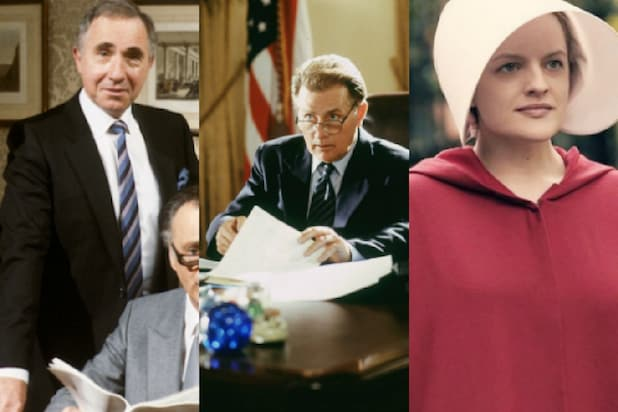 The Hulu series, based on the 1985 book of the same name by Margaret Atwood, is a dystopian drama about women who are forced into sexual servitude. Kavanaugh’s critics are worried that if confirmed, he could become a powerful swing vote in the Supreme Court that could eventually overturn Roe v. Wade, the landmark 1973 case which established abortion as a constitutional right. 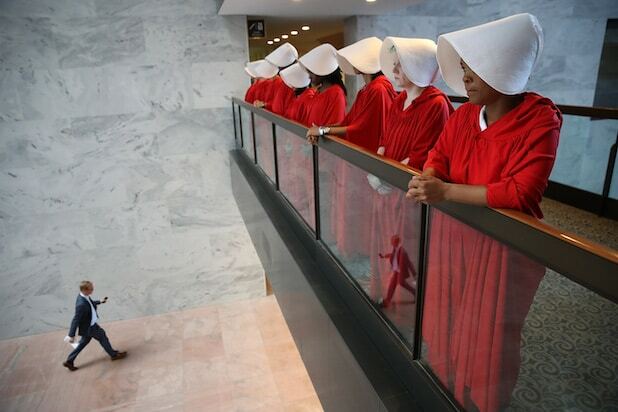 The hearings are expected to focus in part on whether Kavanaugh believes Roe v. Wade was correctly decided.